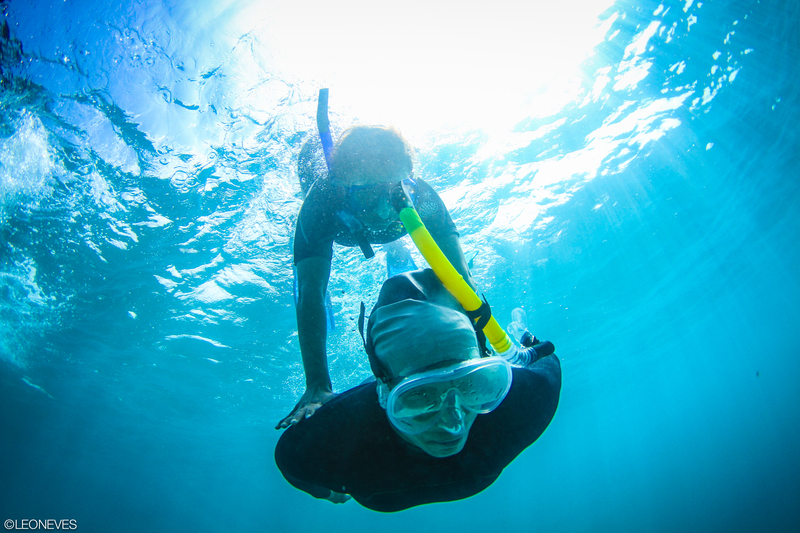 Apnea is the momentary suspension of breathing, more commonly know as holding one’s breath. 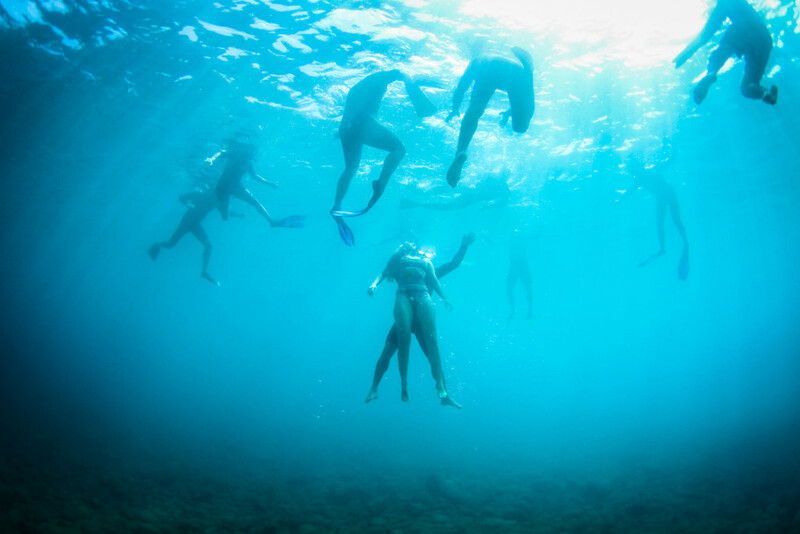 During apnea, there is sufficient oxygen in the lungs and blood stream to allow a person to stop breathing for several minutes while maintaining consciousness. 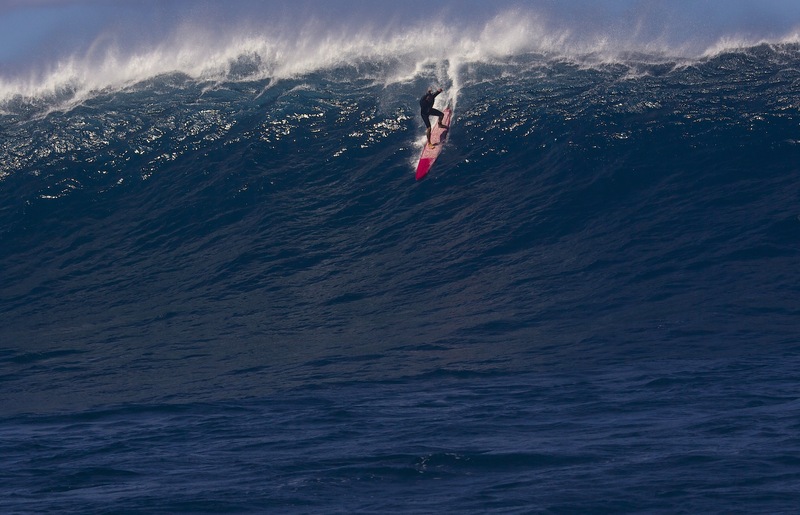 Some expert athletes can exceed five minutes while remaining lucid. There are many different styles of this practice. 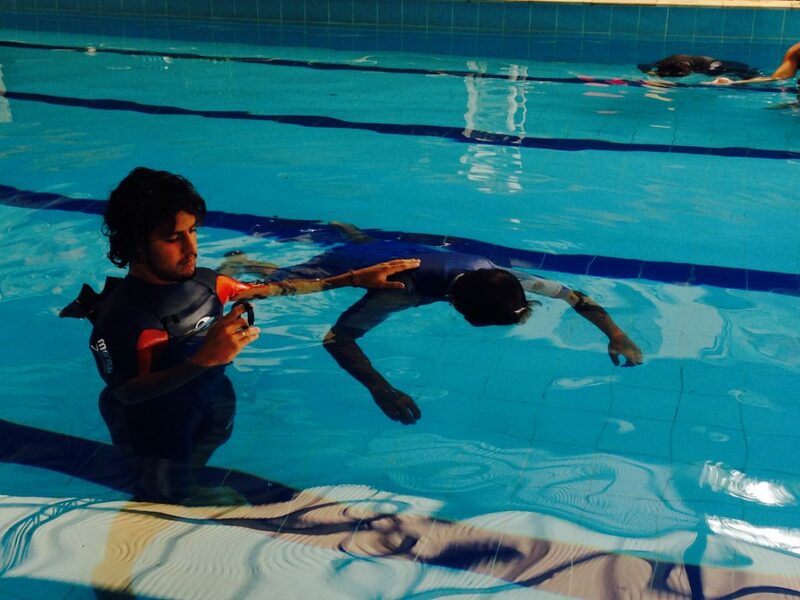 Static apnea trains the athlete to remain underwater for long periods of time without moving. 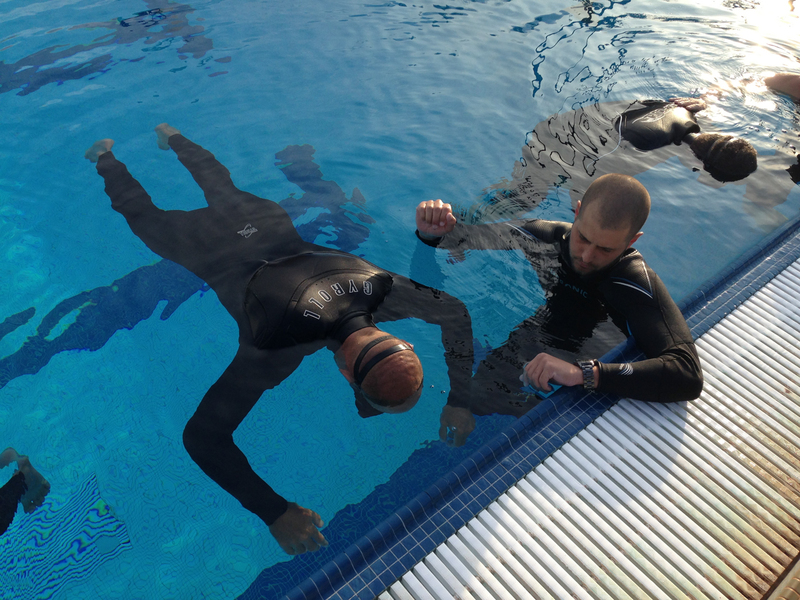 Dynamic apnea trains the diver to go the far distances or depths underwater without the aid of equipment for breathing. 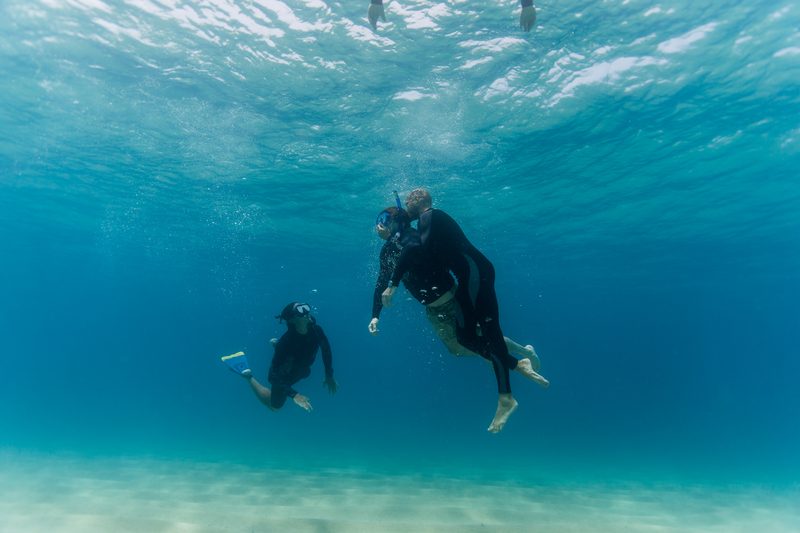 For many reasons, apnea training is a great exercise for surfers and divers alike! 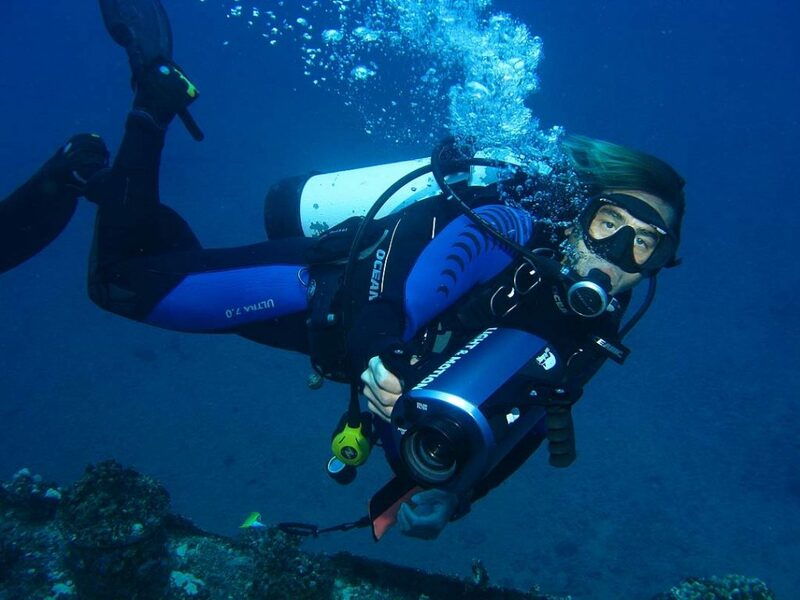 Hawaii Eco Divers has developed an intensive apnea training program to help surfers fully maximize their breathing potential, oxygenate the body, and remain calm in stressful situations underwater. This apnea training course is designed with one primary goal: to increase your breath hold ability in stressful situations underwater. It is vital to remain calm and in total control of your mind and body. 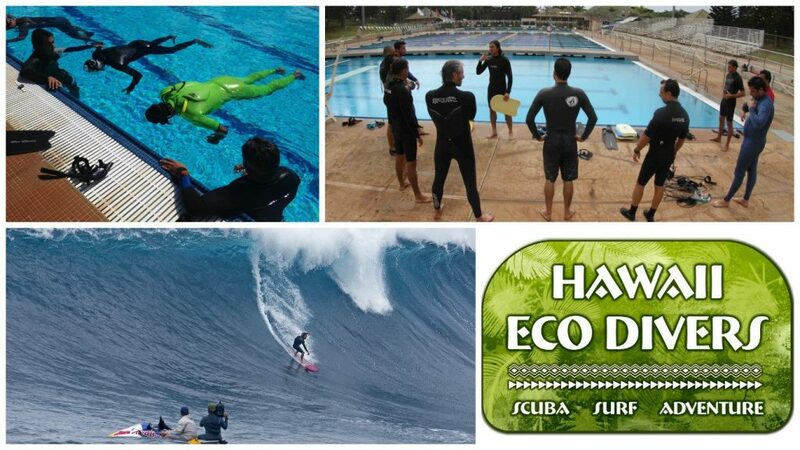 This course is designed by surfers and for surfers. You will learn different techniques of apnea and practice breathing exercises to fully oxygenate the body. This will be done through strengthening and increasing the capacity of your lungs. 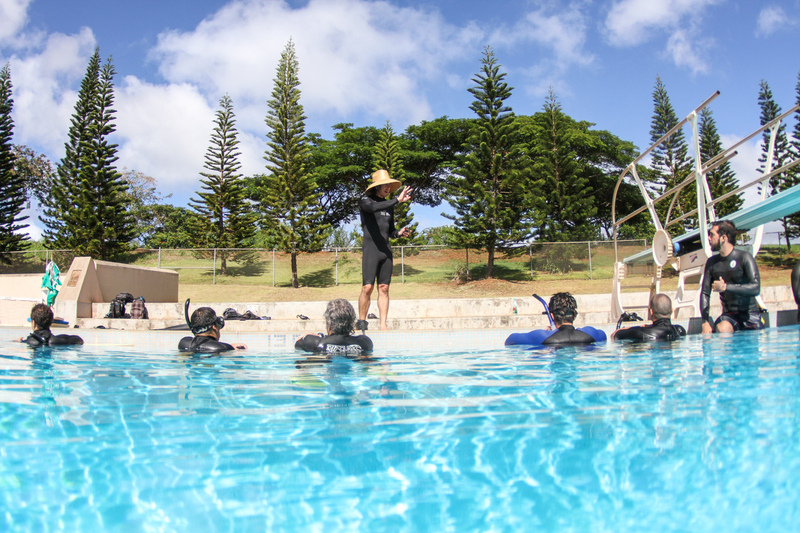 We utilize lectures, breath hold training and exercises for both breathing and swimming. 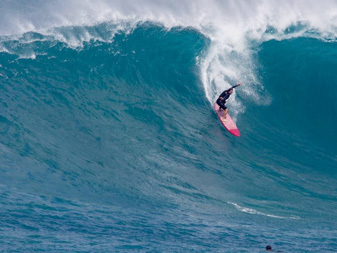 Ultimately, surfers will walk away with a better ability to handle extreme situations in which mind control and the ability to remain calm are the main factors in your survival.  We will review apnea theory and breathing techniques to maximize oxygenation and breath hold. 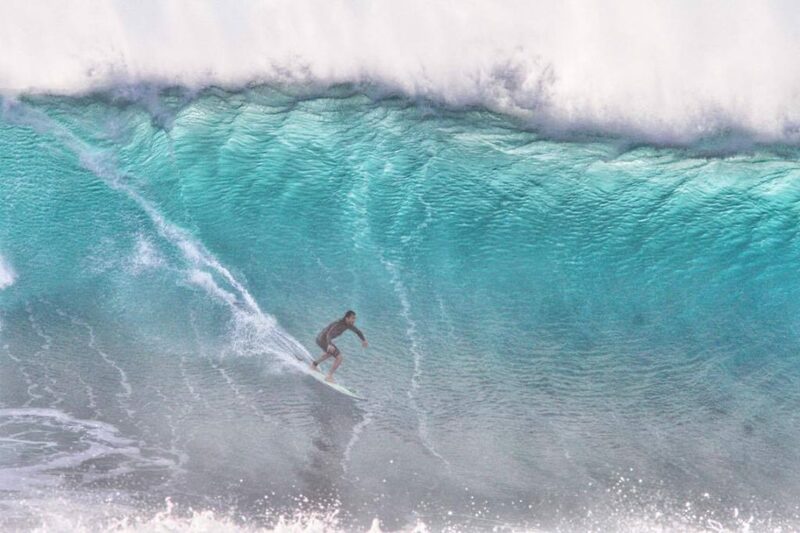 Further, we emphasize high surf risk management in order to recognize, minimize and avoid unnecessary risks found in the surf zone. 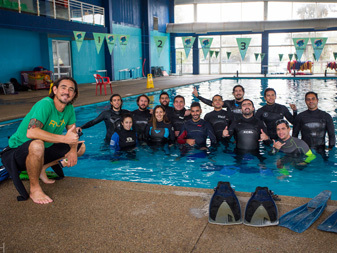 This will include surf rescue scenarios that may be encountered while surfing or participating in other water activities. Finally, we will cover the importance of providing CPR and rescue breathing to unconscious drowning victims. This is a course that every water man and woman should take. 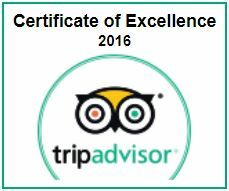 It will make you and your surfing community safer! We will first study the physiology of apnea in an academic setting. This information is very important when we push our bodies to the limit. Understanding what causes our bodies to black out during breath hold training exercises, and how to identify signs and symptoms of hypoxia, is crucial in order to train safely. High surf risk management, emergency action planning, and dealing with panic will also be studied in the academic development portion of the course. 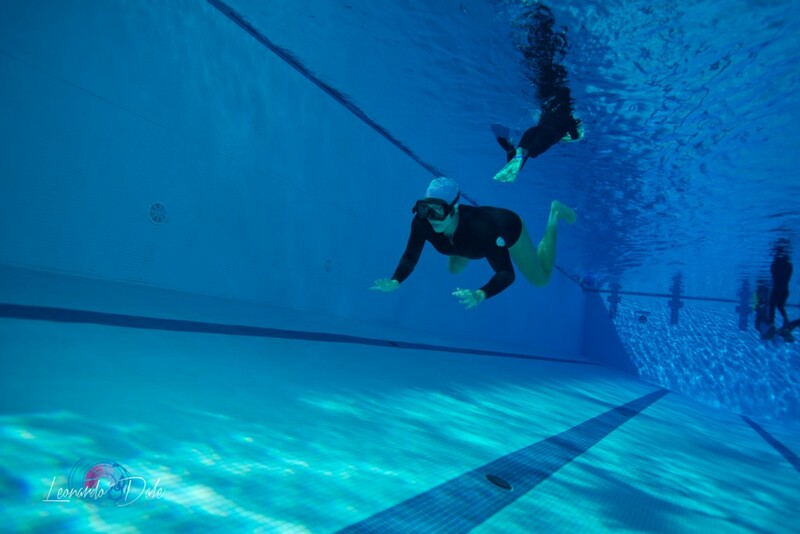 Before we start the apnea training, we will present some rescues skills in the pool in order to train apnea safely with a partner. 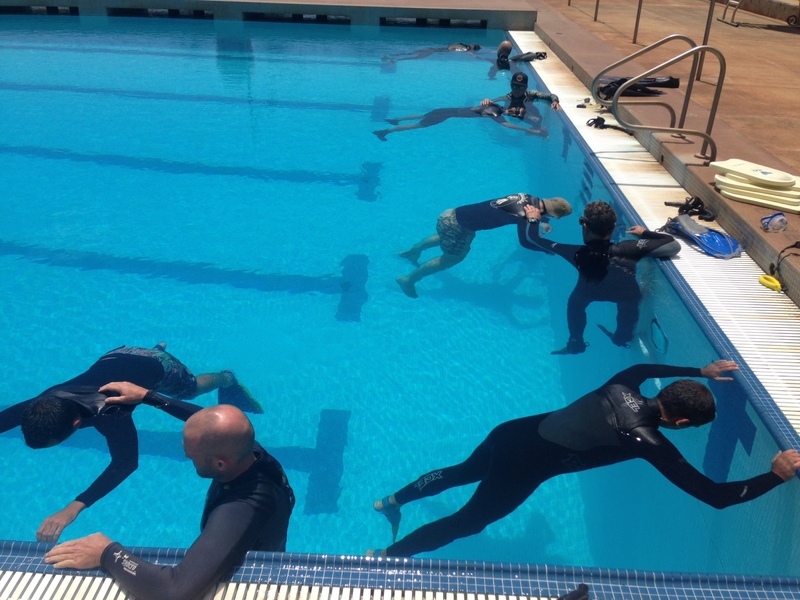 We put into practice proper ventilation and breathe ups in order to perform numerous underwater exercises. 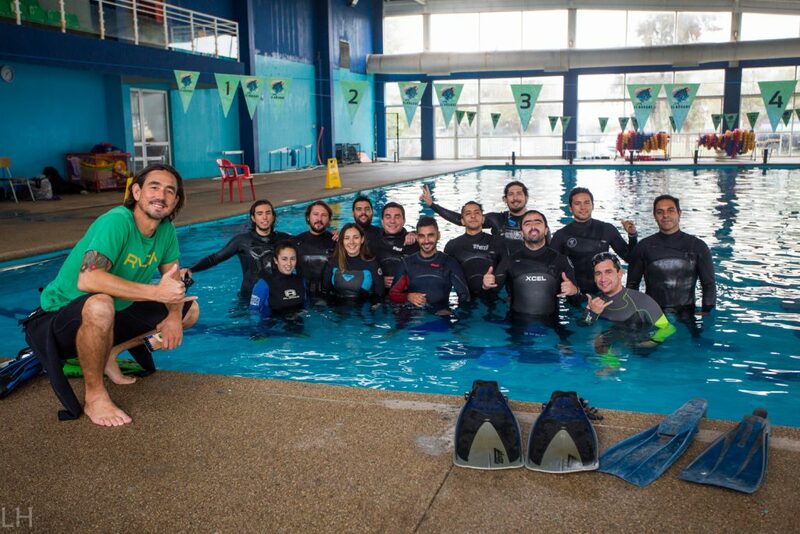 Each exercise simulates a real situation found in the surfing environment. Participants work with training partner throughout the entire class. 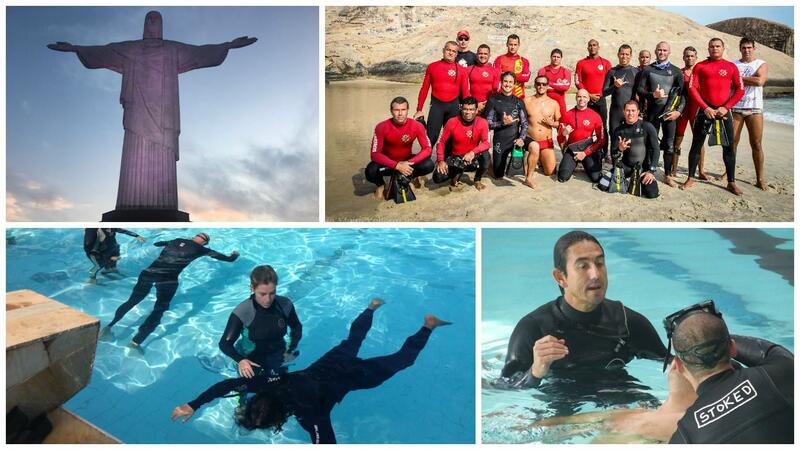 We start the second day with CPR training and breathing exercises, followed by a full O2 table apnea practice. This is when people typically achieve their personal best breath holds (most get three minutes, with some people holding for four and even five minutes). 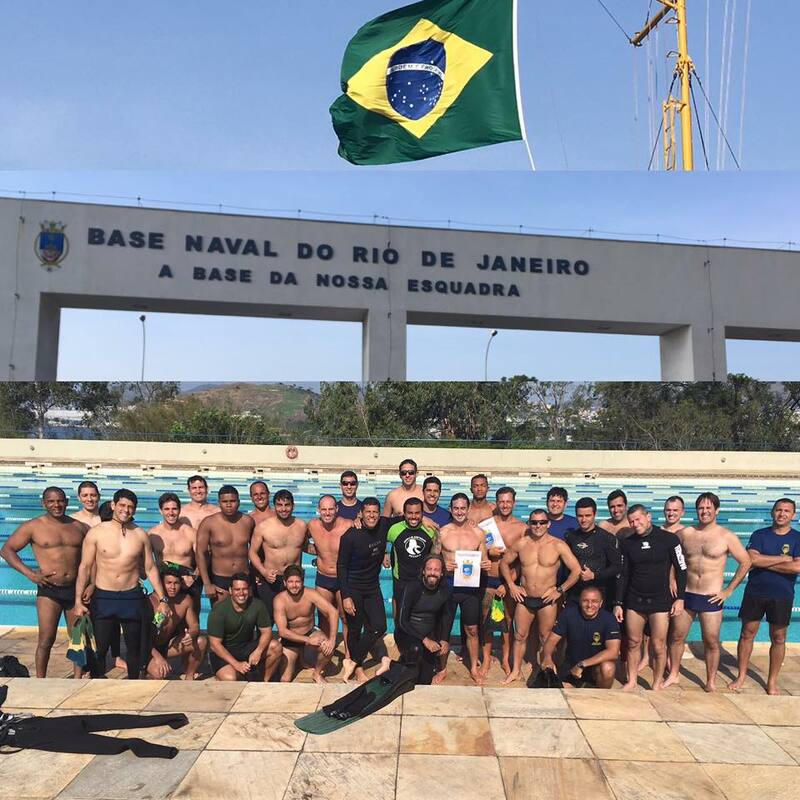 Later, in the water we present more dynamic apnea and survival skills before moving into the surf rescue part of the course. This is when participants learn tools that could help them save lives. 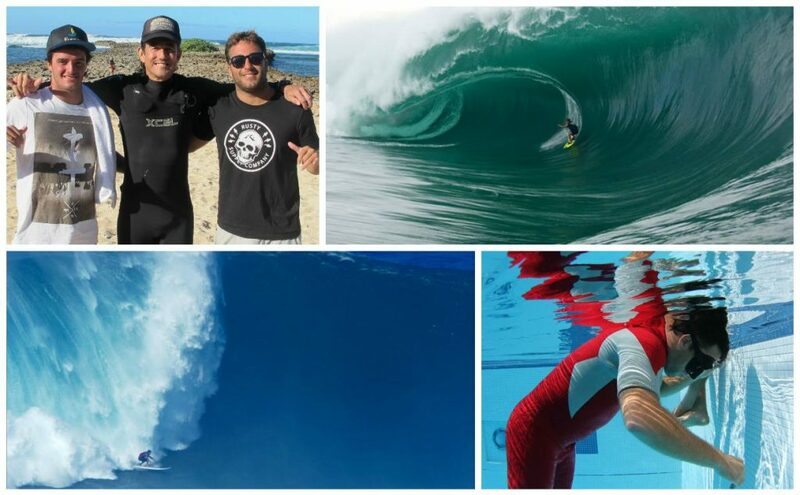 Finally, we focus once again on stress apnea exercises simulating wipe outs or long hold down. What doesn’t kill you makes you stronger. 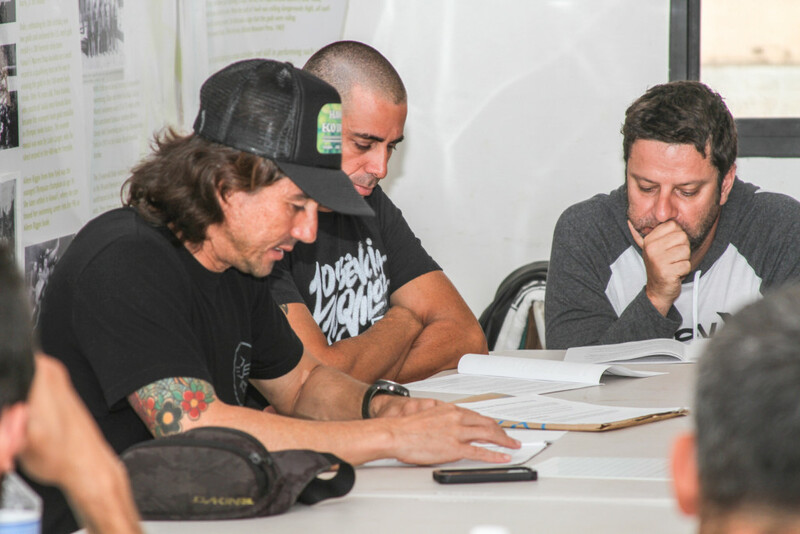 Participants are provided with a self-study manual to read prior to the beginning of the class. You must complete the knowledge review and bring the answers to the first day of the training. We also offer one day private/small group classes if you want to focus only on increasing your breath holding skills. 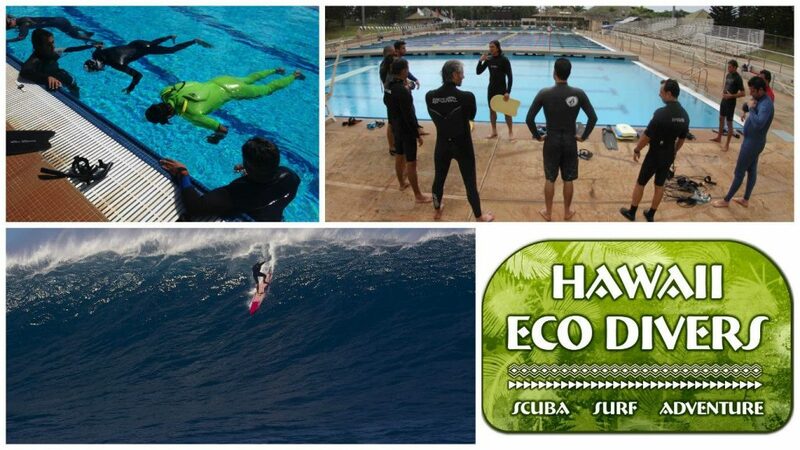 Videos of professional surfers who completed Apnea Training with Hawaii Eco Divers. 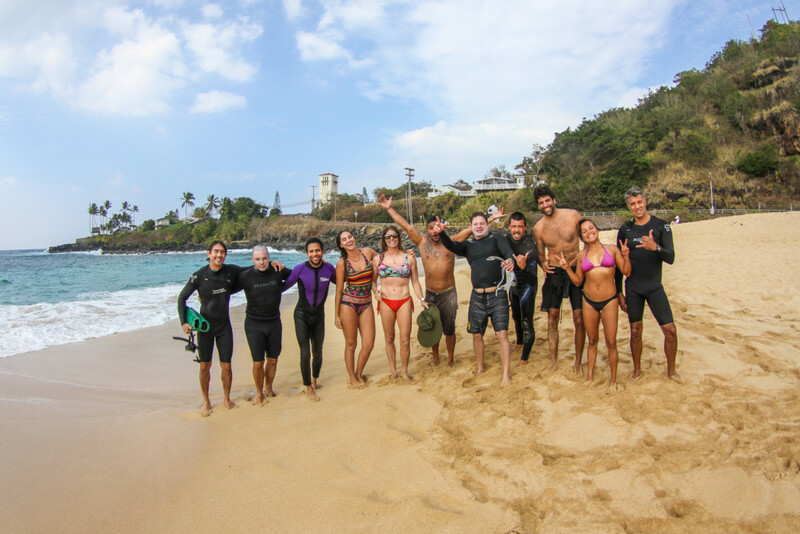 Billabong team manager and professional surfer Rainos Hayes has also benefitted from Hawaii Eco Divers’ apnea course on a previous training. 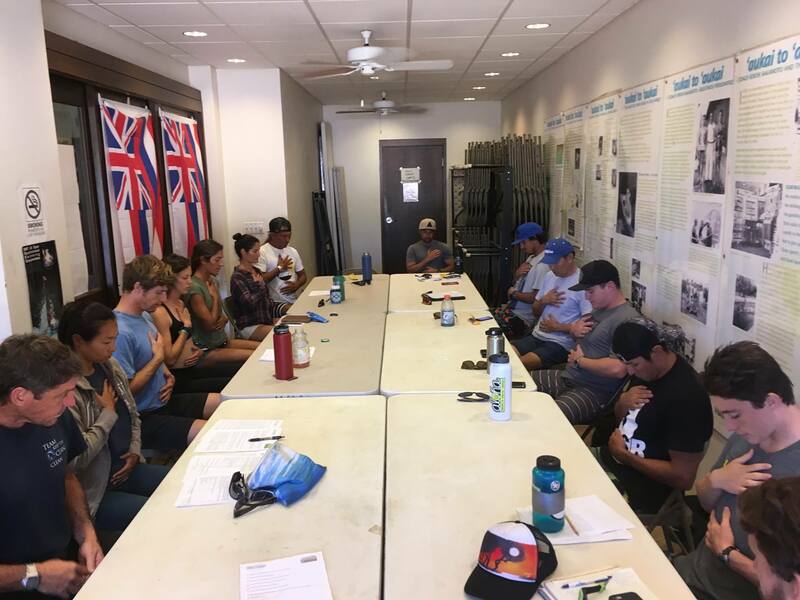 Rainos organized a class for some of the members of the Hawaiian Junior Surfing Team including the Moniz brothers. Mike and Chris Latronic also took the course and created a video for their TV show. I smoked a pack a day for 15 years, and left the Apnea and Surf Survival Course with a 5 minute static breath hold. Unbelievable!